Food waste isn't just the result of groceries that have gone off or uneaten meals. As food is processed for consumption, huge amounts of waste are generated. The European poultry industry, for example, generated about 3.1 million tons of discarded feathers in 2014. And during wine production, around 25% of the weight of grapes, such as the skins and seeds, are wasted. These byproducts could soon be given a second life, as scientists work out how to transform them into new materials. 'The idea of unlimited resources is not valid anymore so it is necessary to look for alternative sources of raw materials,' said Sarah Montes, research scientist with Spanish company Cidetec. She coordinates a project called KARMA2020, which is looking at how to transform unwanted feathers into biodegradable plastics. Chicken feather waste, which is generated almost all over the world in large amounts, is typically incinerated or ends up in landfills or as low grade animal feed. But it has the potential to be a valuable resource. Feathers are made up of about 90% keratin – the same fibrous protein that gives hair, hoofs and horns their toughness. 'Most of the waste is a profitable material,' said Montes. Due to its high keratin content, feathers are likely to produce plastics that are stronger and more tear-resistant compared to those using modified starch or plant proteins, for example. However, there are challenges involved in using feathers as a raw material. First and foremost, they need to be sanitised before processing to remove any pathogens. Since feathers are very light, it can also be hard to get them to flow through machinery, says Carsten Niermann from German bioplastics company FKuR, one of the project engineers. One-and-a-half years into the three-year project, the KARMA2020 team has so far figured out how to pre-treat feathers so that they are clean and safe to handle, and how to turn them into a raw material. They have also created samples of feather-based materials that could be used for packaging, using a process where heated material is injected into a mould to shape it. The next challenge is to scale up their production process for industrial manufacturing and test how well feather-based raw materials work in particular end products. At the moment, the researchers are primarily looking at how to make food packaging from feathers, although they are also developing other applications such as slow-release fertilisers, composite materials and flame-retardant coatings, depending on economic and technical feasibility. Demand for products from the circular economy – where byproducts from one industry are used as the raw materials for another – could benefit from a phenomenon known as conscious consumerism. A 2017 report from Unilever showed that a third of consumers prefer sustainable brands. And this is likely to grow, as a company's environmental credentials are increasingly important among young people. Italian company Vegea, is counting on this trend to help them compete with existing players in their field – leather production. Both animal and synthetic leather production are well-established, but Vegea believes that a bio-leather made from grape waste could help build up their own market niche if they demonstrate that their process is cost-effective and eco-friendly. 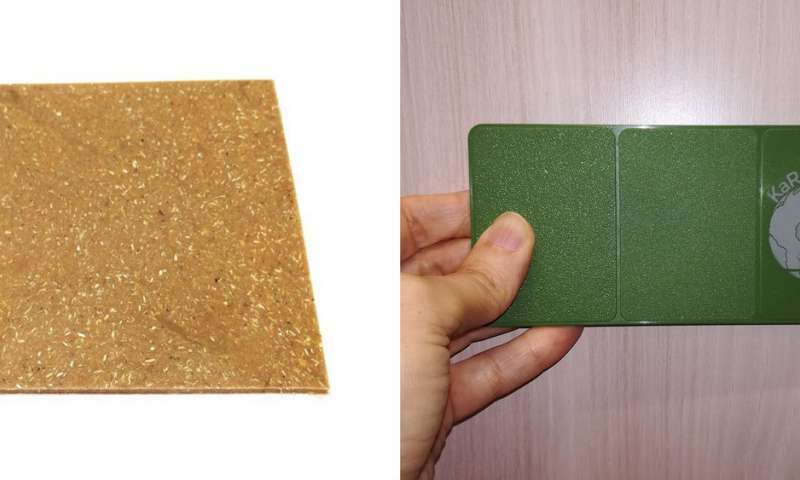 Through a project called WineLeather, Vegea is producing their bio-leather using grape marc – the solid parts of grapes that are waste products from wine production. The team has been focusing on the development of natural textiles to satisfy the demand for sustainable alternatives in the clothing and apparel industry. 'After looking at several potential feedstocks, grape marc was selected because it contains both oil and lignocellulose, two components that are optimal for the creation of bio-based textiles with our technology,' said Marco Bernardi, Vegea's research and development manager. To make their fabric, leftover grapes are first dried in order to preserve them so that the raw material is available year-round and not just during wine-making season. Then the feedstock is processed in different ways depending on its end use. 'It is refined with specific treatments to obtain different grades of weight, width, elasticity, embossing and colour,' said Bernardi. The end product is then spread to form a textile. They have already produced sample products using their material for apparel company H&M that were showcased in an exhibition last year. 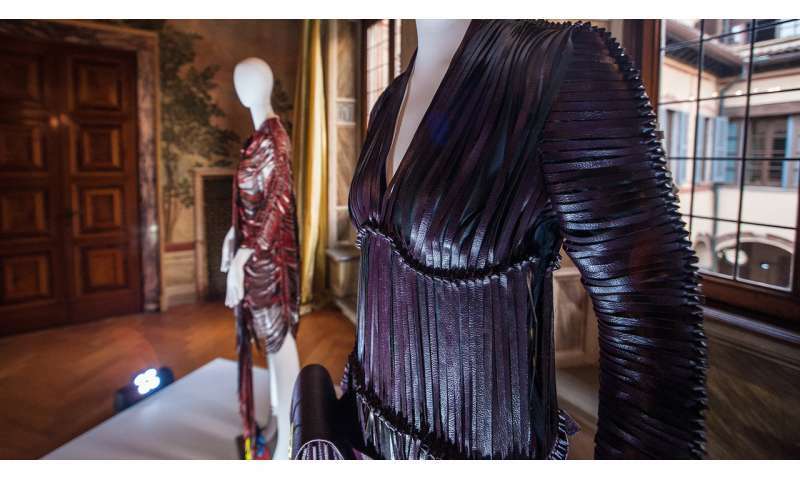 'We prepared an entire fashion collection for them, with dresses, shoes and bags made with our wine-based material,' said Bernardi. The WineLeather project is now scaling up their production capacity so they can move from prototype stage to a commercial venture. Although the production method makes use of existing technologies, the team has come up with greener alternatives to the toxic and environmentally harmful chemicals that are typically used. Their production process is considered to be zero impact since they are solely using waste as their raw material, don't use chemical reagents or additional water and don't produce any byproducts. Bernadi thinks their material could eventually be used as a substitute for any leather product. However, although there has been considerable interest from the automotive industry and furniture manufacturers, producing a suitable fabric for use beyond clothing is more of a challenge. The recipe for their material and the process must be tweaked to meet the requirements of each application. 'The specs are way more stringent than what we are used to in fashion,' said Bernardi.